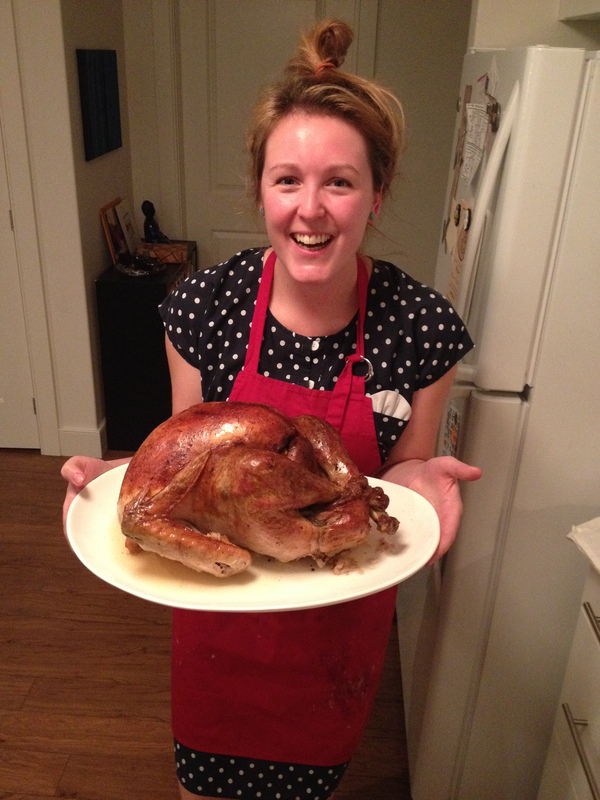 Happy uber belated Thanksgiving and Merry Christmas everyone! Yes, this is a post about my Thanksgiving meal, and this is another late posting for my Food & Wine Cover Recipe Challenge. 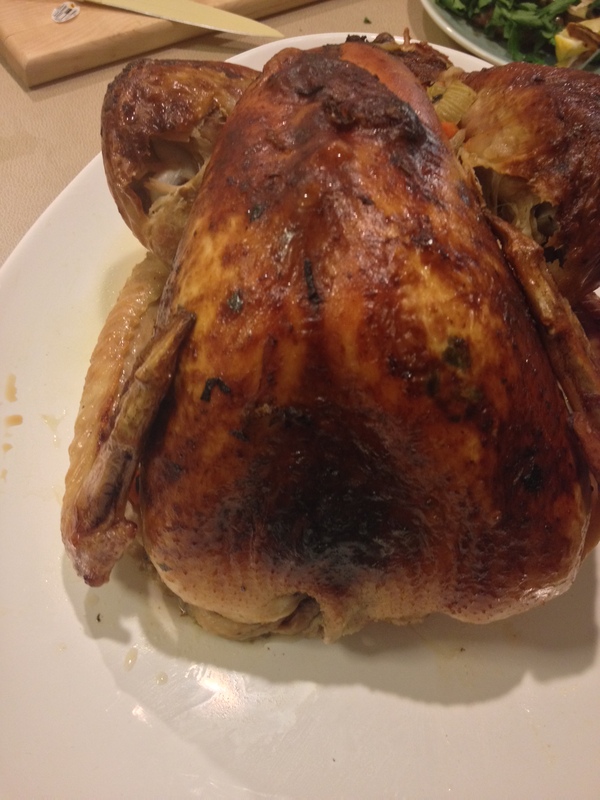 For November’s issue there was a major focus on Thanksgiving meals because of the magazine’s American origin and I ended up cooking my second turkey in 3 weeks, and now here we are, two days from Christmas about to have another one! In actuality, this post is hitting the blog at the perfect time because there are some great recipes that are perfect for Christmas dinner, enjoy! I chose to make five new recipes for this challenge. Why, you ask? Because I am crazy. I have to say that after making this meal I have a whole new appreciation for all those awesome people who make giant Thanksgiving and Christmas meals for like 20 people. THANKS MOM! For the appetizer, I chose the Scallops with Fennel Grenobloise. Surprisingly, I have never cooked with fennel before. 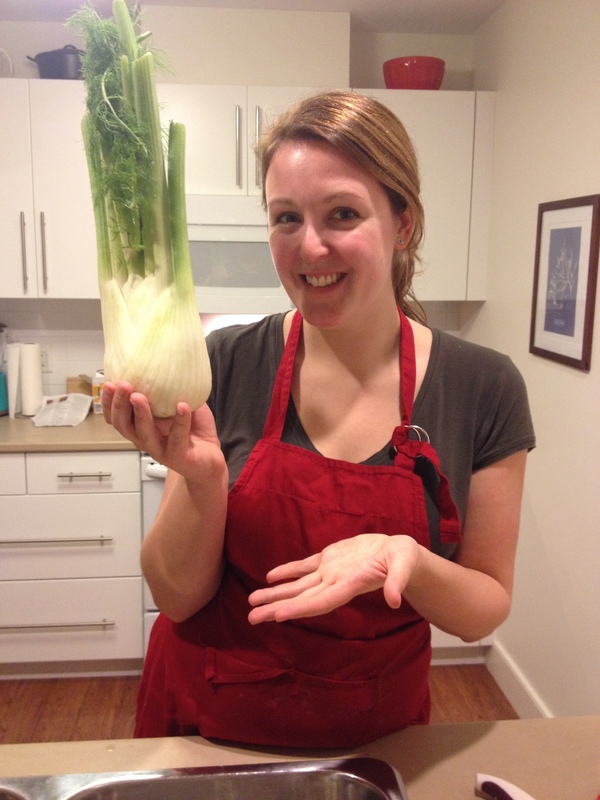 In fact, Erin and I had some trouble actually identifying the fennel bulbs at the grocery store, and we had to youtube a video on how to chop it up! Once you cut those intimidating stalks off, it was pretty easy. 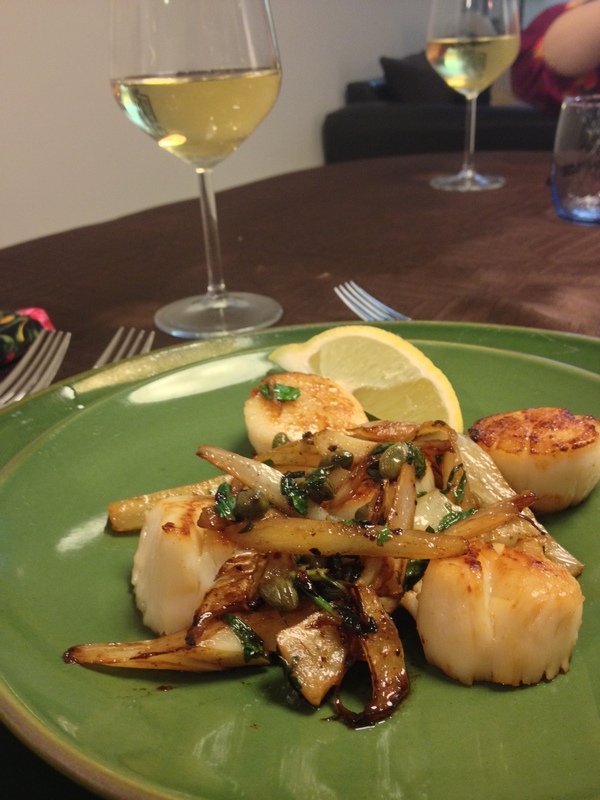 The scallops were fried separately in the frying pan with olive oil and then added to the combination of fried fennel, capers, lemon and parsley. The scallops turned out great! The plating for this dish is easy and it was delicious, the flavour of the fennel and the saltiness of the capers complimented the fresh Digby scallops really well. This is a super simple recipe that makes you look like a really fancy cook. So for obvious and delicious reasons posted above, I was feeling pretty comfortable about cooking my second turkey for the recipe challenge. That was until I started making the stuffing. It was SO hard. First of all the chestnuts: I couldn’t find any in the city for some random reason so I bought hazelnuts, and after searching five stores for a nutcracker I had to resort to smashing the hazelnuts with a hammer and a set of pliers. Luckily the recipe called for crushed nuts and not full ones, because that was quite the challenge. Happily all the sides that I made turned out well. The sweet potato was AMAZING! 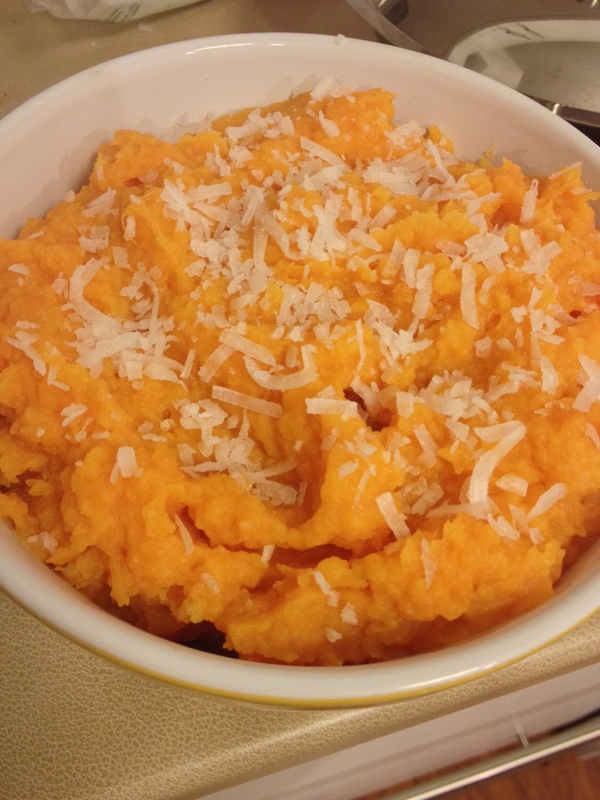 The Whipped Sweet Potatoes with Coconut and Ginger were a great twist to the recipe with nuts and marshmallows that I am used to having at Thanksgiving or Christmas. The freshness of the coconut milk and the ginger were delicious and were a nice light addition to an otherwise heavy meal. The spinach was also tasty, but I was a little underwhelmed. The recipe title sounded way better than it actually was. 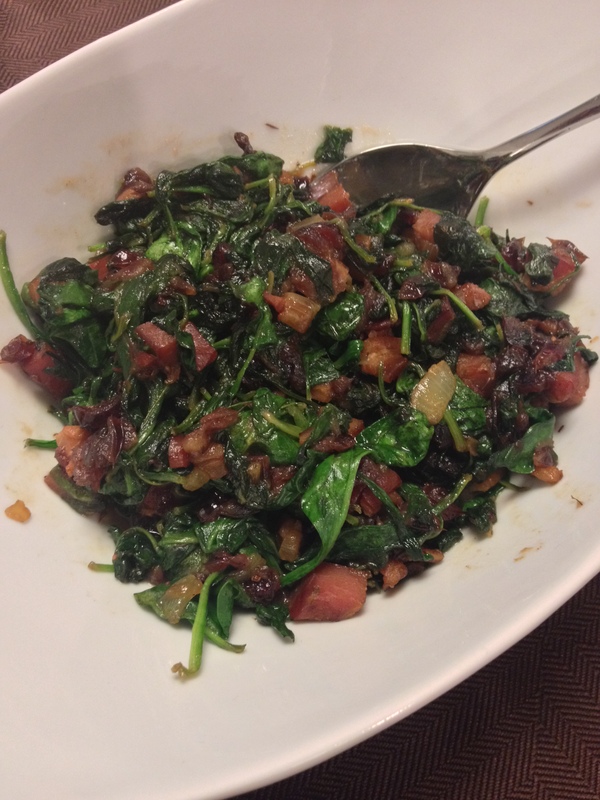 The Sauteed Spinach with Pancetta and Dried Cranberries definitely had some nice flavour (how can anything with pancetta not have flavour?) but the spinach was so shrunken up that no one was blown away by the side dish. When I do this recipe again I will definitely put in more spinach than suggested to balance out the flavour of the pancetta. It tasted okay, not amazing, definitely not worth the blood, sweat, and tears that it took to make it. BOO. 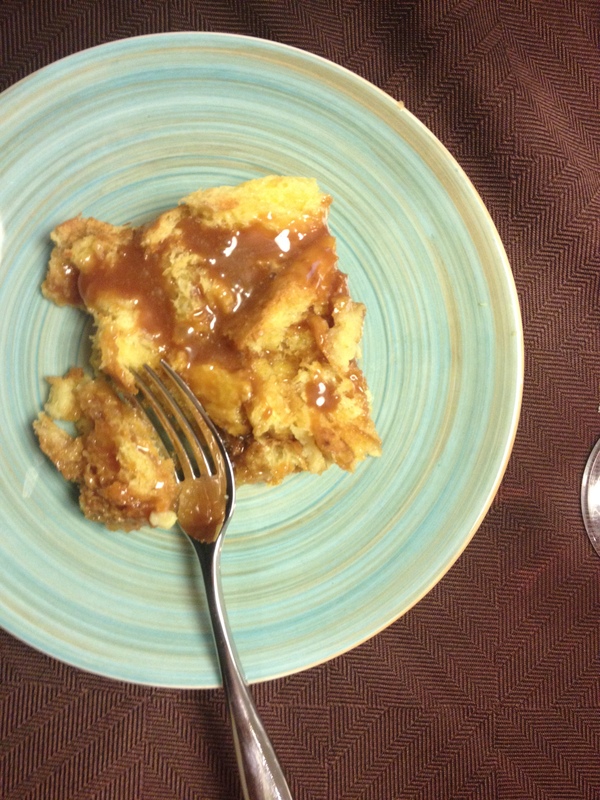 For dessert I made Vanilla Ice Cream Bread Pudding with Whiskey Caramel. 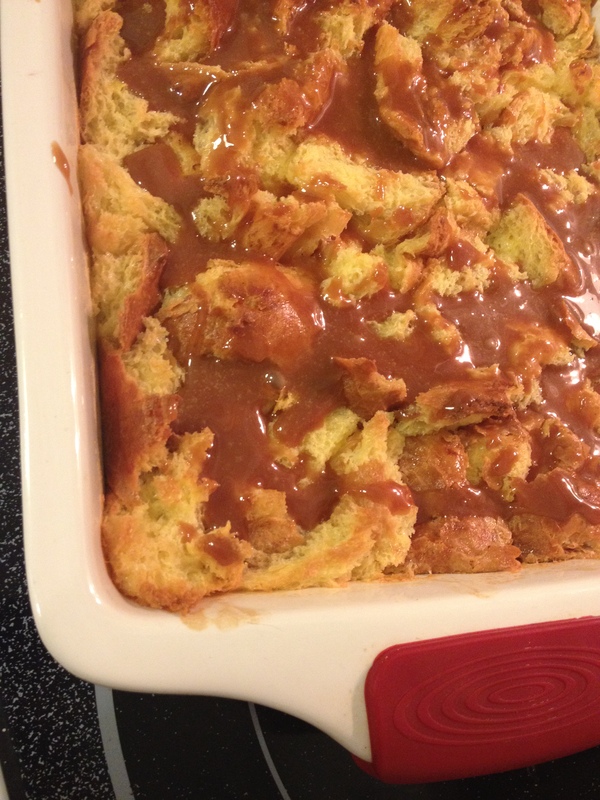 Traditionally I have not been a huge fan of bread pudding, but after reading about the whiskey caramel that topped the pudding in November’s issue, I just had to make it! This is a really fast and easy recipe for bread pudding, and doesn’t involve the usual time consuming bread soaking because you use semi-melted vanilla ice cream to speed up the process. The ice cream also made it super moist and delicious. The caramel on top was super yummy and between the four of us we put a pretty large dent in the dessert meant for 10. 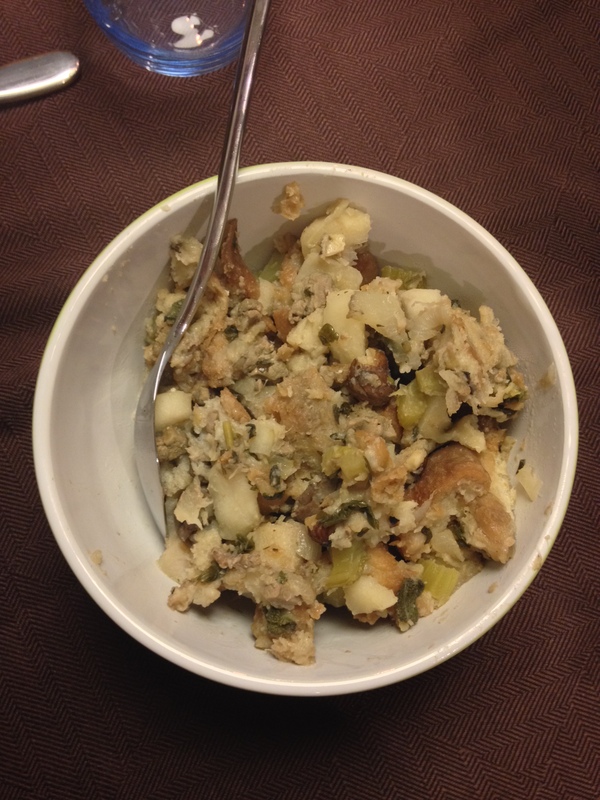 Overall the meal was a success, despite the sad looking turkey and the mediocre stuffing. The delicious appetizer and dessert made up for the lackluster bird and I would definitely recommend the sweet potato for Christmas dinner to add a twist on a classic side dish. The bread pudding is sure to impress at any meal, so make sure to Explore. Eat. Repeat. these recipes for your next big meal. In the mean time, have a safe and happy holiday season from The Food Girl in Town. Enjoy the friends, family, and of course all the food! Merry Christmas!